I first read McIntosh’s article two years ago in my Respecting Diversity course. 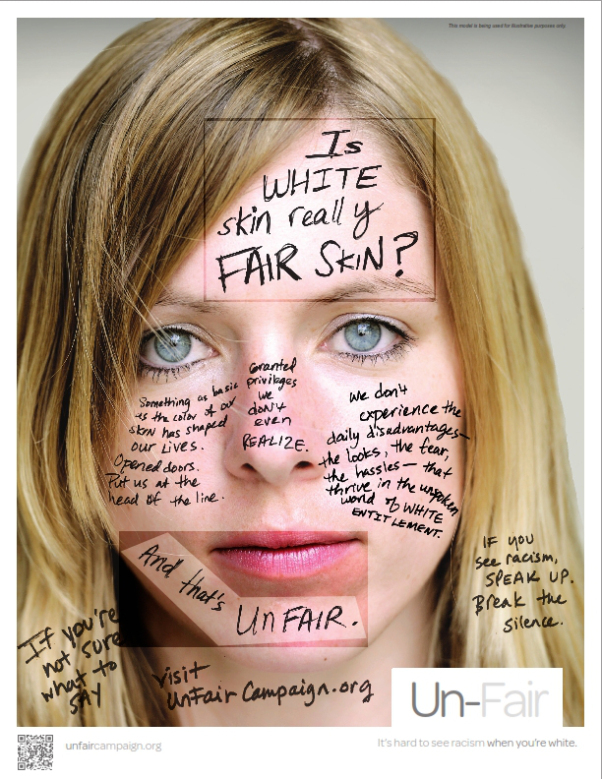 Although I am not white, the article left a significant mark on me. Since that day, I have no been able to look at my own daily life without analyzing every aspect in it. I am no longer able to look at people without looking at what my OWN privileges are as well. Being heterosexual makes me more privileged than any individual from the LGBTQ community. Being able to see, hear, walk, talk, use my motor skills, interpersonal skills, my brain and so on, makes me more privileged than any individual who has a physical or mental disability. The amount of clothes in my closet, or even the fact that I have a closet, makes more privileged than the individual who has two pairs of shirts in the backpack they live out of. Being a Muslim veiled Arab woman makes more privileged than a Black Muslim veiled Woman. I and other individuals need to be aware of our privileges and use them to help those less privileged. 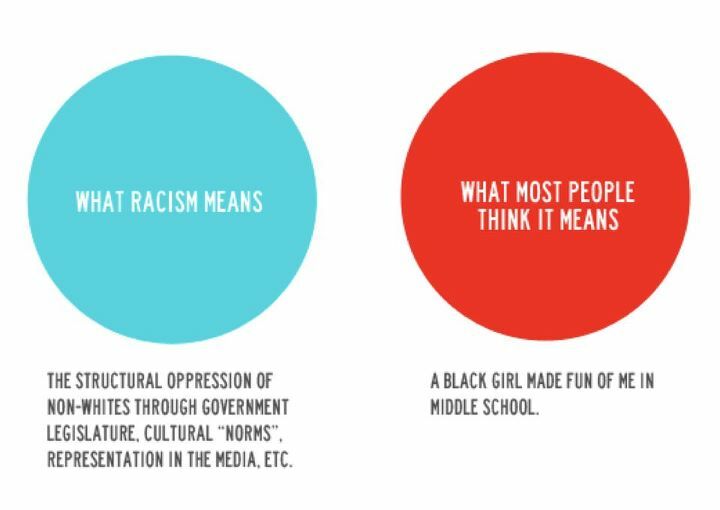 Structural racism is not a concept that most people think of when being asked “what is racism?” Often times, people think racism is solely based on individual acts of discrimination. While that may be part of it, we do not seem to ask ourselves how do these individuals come to such acts? Where did they learn to think the way they do? Where does this ignorance and lack of understanding stem from? We have be programmed to think such ways because of “structural racism”. The news, schools, movies, songs, toys, tv shows and so on, teach us to be ignorant. The system’s structure has been put together in a way to divide people by emphasizing on stereotypes. Also, by using “white privilege” to their own advantage. Children grow up watching Disney movies, in which only includes diversity by including talking animals or toys. When it comes to portraying human beings, almost always they are white characters. Disney princesses? Yeah, they included some diversity (Mulan, Aladdin, Princess and the frog) and while doing so, they did mix different cultural backgrounds together. The story of Mulan only happens in China, what about an Asian female among white people? Even while trying to include different ethnicities, they still divide them by not mixing them together. And then theres just the whole idea of being a minority and belonging to a stereotype. 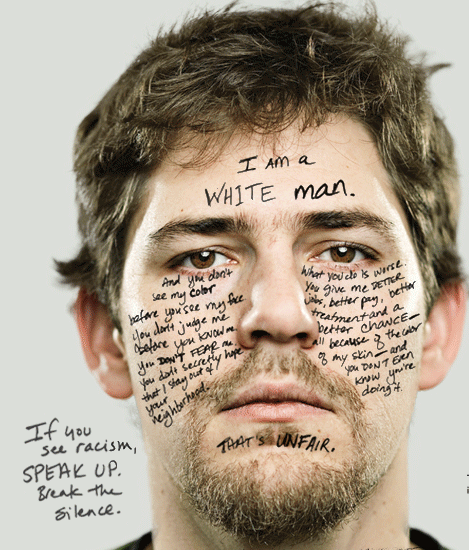 I fear media because of structural racism and white privilege. We seem to believe what we see on the news, and often times quickly assume who media is describing just by the choice of words they use. Recently in Montreal an unfortunate incident happened, a Muslim woman died while using the escalator to get to the subway. Her tragic death was the result of a brain trauma due to her tripping on the escalator and her winter scarf getting caught. When I first heard about this incident, I was on Facebook skimming through daily updates on people’s statuses- it is where I usually find out about breaking news! One of my friends wrote “they don’t even know if its her scarf or hijab or even if she was Muslim”. I had just understood that a female died because her scarf was caught in the escalator and was strangled. As I kept reading news articles that were so vague, I was praying “PLEASE DONT LET HER BE MUSLIM OR VEILED”. An hour later, the Journal de Montreal posted their side of the story with the headline “Etranglee par son Hijab” (Strangled by he Hijab). With all the debates currently occurring in Quebec regarding the Charter, you would think media would be considerate in not only dehumanizing a woman’s tragic death, but also stirring the pot with their choice of wording. The abundance of bigoted comments began. This is a clear example of structural racism and white privilege. The power media has was misused by adding more to already open can of worms. White privilege was also misused just by the choice of wording. Had they wrote the real piece of clothing in the incident as “winter scarf” no body would have batted an eyelash to associate this woman as a Muslim. Comments would have been focused on blaming the STM for their escalator malfunction, or sympathetic comments would have been posted. As soon as she was identified as Muslim, and that she was wearing a hijab (that plays no role in the scenario) racism at its best was portrayed. 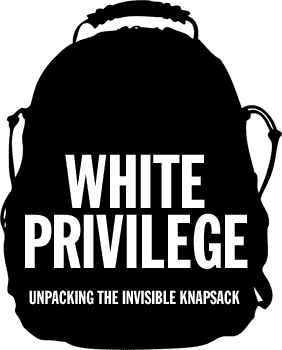 I want to go back to the beginning of my post, regarding “white privilege”. I do not want to seem like I am targeting white people, because I am not. My point is to raise awareness in regards to what the notion of “white privilege” means and how it has affected and continues to affect anyone if is not white. This does not mean we should also forget what “privilege” can do. Whenever we are more privileged than anyone else, we should try to use that privilege to help each other. Be aware of your privileges and your personal power, because that can either change someone else’s life positively or negatively. Ain’t we ALL women? when will we intersect?